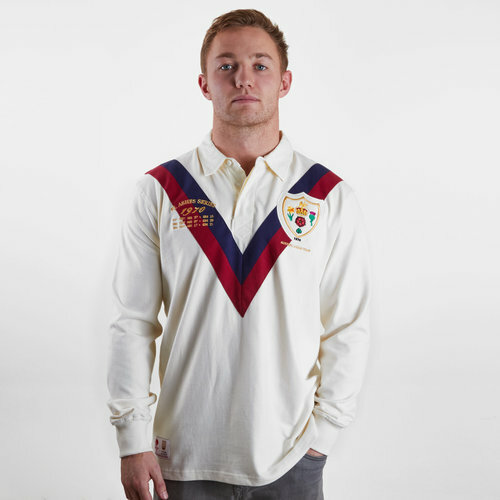 As one of the best 25 players in the history of Rugby League in the UK cheer show your appreciation when you wear this Heritage Mal Reilly Hall of Fame Great Britain 1970 Rugby League Shirt. Malcolm "Mal" Reilly was a rugby league player and coach from the 1960s until the 2000s. 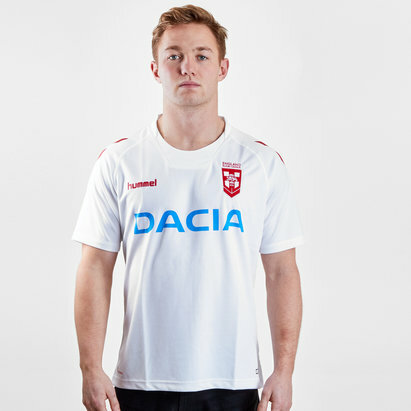 He played at representative level for Great Britain, England and Yorkshire and at club level, he played for Castleford (two spells) and Many-Warringah Sea Eagles. He coached at representative level for Great Britain and at club level for Castleford, Leeds, Halifax, Huddersfield Giants, Hull Kingston Rovers and Newcastle Knights. As a coach, he took the Knights to their first premiership in 1997. In 2014 he was inaugurated into the British Rugby League Hall of Fame. This vintage shirt has been inspired by Reilly’s outstanding performances on the 1970 tour becoming the most consistent performer. It is made from 100% cotton and features a detailed appliqué Crest. Other features include herringbone finish on the vents and tape on the neck opening.